It is not hard to see why this pepper is called the Mad Hatter. You won’t have to fall down a rabbit hole to bring the ‘Mad Hatter’ to your garden! The shape of the fruit resembles a flattened hat. This exotic looking pepper is unique, vigorous, and delicious. 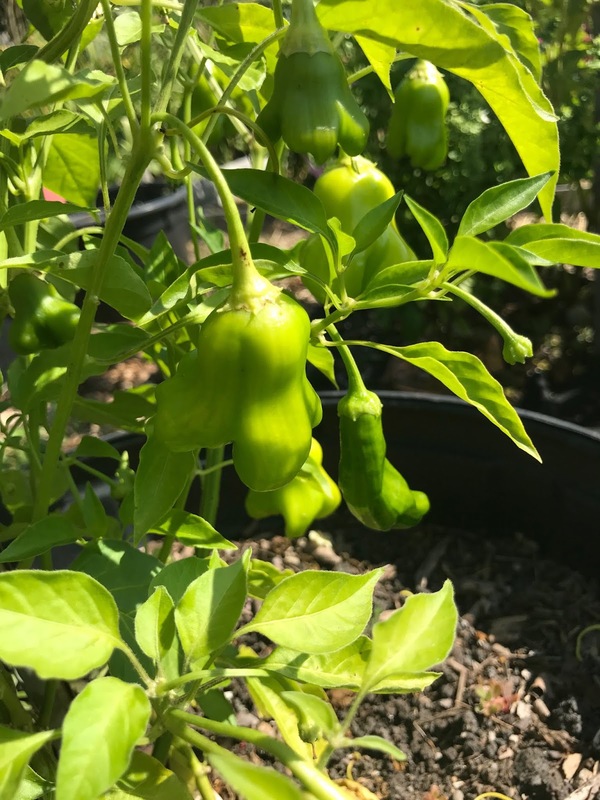 Mad Hatter is a member of the Capsicum baccatum pepper species from South America commonly used in Bolivian and Peruvian cuisine. This is a mild pepper with a Scoville rating of 500, meaning it is mostly sweet with a floral scent. Flavors intensify as the fruit ripens. Hot, dry climates may produce fruits with a hint of heat at the center, but the outer parts remain sweet. I picked these peppers before they were fully ripe but I will update this post if I get any red peppers in the near future. © MCGA. Watermark theme. Powered by Blogger.